Running a startup is a true labor of love. Sustaining a business is no easy task in today’s fragile economy, which is why startups need to make moves with the highest return on investment. Email marketing has proven to be an incredibly efficient method of maintaining customer loyalty while promoting both your standard and promotional sales. Much like social media presence, it allows you to build a relationship with customers and a brand voice that reflects your business’s values. But unlike social media, where posts can get lost in a busy newsfeed, email marketing allows you a direct line to your customers’ inbox. Invest in a high quality and custom email design created after extensive research and in-depth analysis to craft a design that yields enough power to resonate with customers and reflect your brand’s values. Merging the perfect combination of image, font, colors and format to represent your company can go a long way to standing out from the competition and giving your business the edge that it needs. The right design elicits the right emotional response and can even increase a company’s favorability rates. 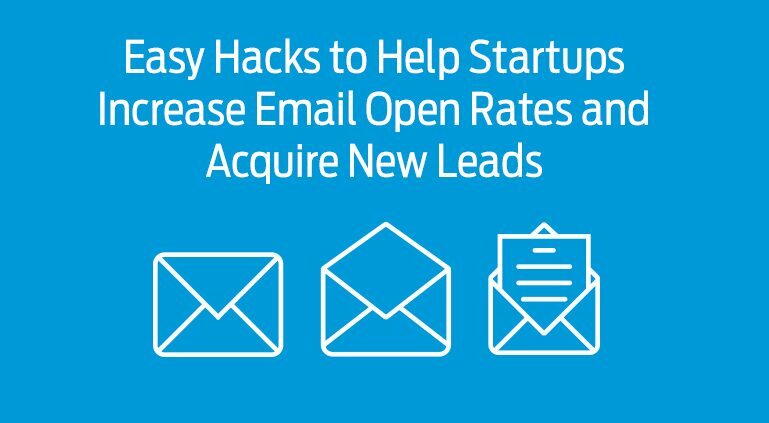 Aside from quality design, here are some other great hacks startups can use to increase email open rates, click through rates and web traffic. Viral story and clickbait websites know the power of a good headline. Most people can relate to the feeling of being drawn to click on a story based on the intriguing title alone. Science calls this the “curiosity gap,” our brains light up when we see an opportunity to fill in the gap between what we currently know and what we want to know, according to WIRED. A compelling email subject line can have a powerful effect at sparking curiosity in your customers, making them more likely to open your email, start reading and keep clicking. To achieve this effect, craft a benefits-driven subject line to highlight that the email contains new and improved information, while still keeping the phrasing vague. This will invoke curiosity, which most people can’t resist. Now that you have your customers’ attention with an intriguing subject line, it’s time to deliver quality content. To ensure the emails are being read beyond the subject line, keep the text clear and concise. If you’re offering a sale or launching a new item, lead with the big news to grab readers’ attention. Include opportunities for customers to interact, by embedding links to your business’ social media accounts and buttons that bring customers directly to your websites promotional landing page. Like your website, your email should be easy to navigate. Customers should be able to quickly identify where they can click to learn more. Business Insider reports that 50% of emails are now read on phones, which means a mobile friendly email format is key. A customer will not take the time to navigate an email that isn’t loading properly or is difficult to read, which can reflect poorly on your company’s brand. To avoid this, stick to a single column template. This will save your reader’s time from having to scroll in multiple directions and constantly readjust the zoom. Instead of using wallpapers, opt to keep the background clean, which will make the email much easier on the eyes. The contrast of a dark font on a white background is easier to read and less distracting. A call to action is the button embedded in your email that guides readers to become customers. Buttons that state “Start My Free Trial” or “Sign Up For Rewards Now” are some examples. Placing theses links in a button, rather than as text in the content of the email, is a far more effective technique in grabbing customers’ attention. It clearly highlights what next steps they can take to purchase products and services. Forbes Magazine reports that businesses should expect a noticeable bump in click through rates when they use buttons instead of text links. With time and money in short supply, startups need to keep their eyes open for affordable and focused opportunities to strengthen their company. A well designed email campaign can have a high return on investment, giving your business the boost it needs this year. Now is the time to build a focused, interactive email marketing campaign to increase the visibility of your company’s standard and current products or services. An email campaign is one of the simplest approaches to interacting with your base and drawing in new customers. A quality design and best email marketing tools paired with these effective email marketing hacks, will go a long way to giving your startup the platform it needs to stand out amongst the competition. Looking for Customized, On time, Email Designs? Launch an Email Design Contest today. Choose from 100+ designs! Take your pick!